You Can Crochet Fashionable Arm Warmers with this Easy Photo Tutorial - Even if You're a Beginner! Home » Tutorials » You Can Crochet Fashionable Arm Warmers with this Easy Photo Tutorial – Even if You’re a Beginner! These arm warmers are beautiful and surprisingly easy to make! 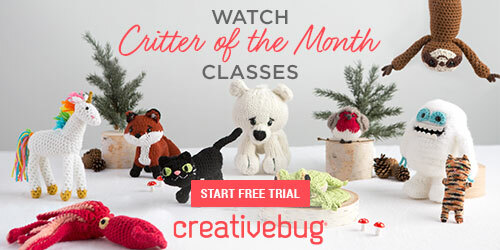 If you’re a fan of DIY crochet photo tutorials, this is the perfect project for you. It’s easily customizable to your specific arm and wrist measurements and the choice of yarn and colors is entirely up to you, so long as the yarn is worsted weight. This makes for an excellent stash buster project, too! Or pick your favorite variegated yarn, perhaps Red Heart Unforgettable Yarn which you can buy at Amazon in 20 different shades. Either way, just look at the results, pure style and fashion! A wonderful addition to your wardrobe or a very thoughtful gift for someone. This fantastic tutorial is free! It’s by fiber arts designer Regina Weiss of Morale Fiber. You’ll find all the steps and details that will guide you to success from start to finish. For even more creative and totally free patterns for arm warmers, fingerless gloves, mitts, wrist warmers and the like, do check out some of our other favorites here at Crochet Maze. Links are below!